#St. Thomas, November 9, 2018 – U.S. Virgin Islands – U.S. Virgin Islands Governor Kenneth E. Mapp and Lieutenant Governor Obsert E. Potter, members of the Virgin Islands Port Authority and the Department of Tourism welcomed the inaugural Spirit Airlines flight from Orlando to St. Thomas on its touchdown this afternoon. Spirit flight 284, with a full flight of 145 passengers, landed at Cyril E. King International Airport shortly before 3 p.m to a traditional water cannon salute. The Airbus 319 was greeted with a Carnival-themed welcome, Cruzan rum samples for passengers and warm Virgin Islands hospitality. Four travel bloggers and social media influencers arrived on the flight and will spend a few days on the island experiencing the attractions on St. Thomas, as well as taking a day trip to St. John. Spirit Airlines will operate three flights a week between Orlando and St. Thomas, on Tuesdays, Thursdays and Sundays. The service adds to the present daily flights between Fort Lauderdale and St. Thomas. Thanking the airline for strengthening “aerial highways” to the Virgin Islands, Governor Mapp, Lieutenant Governor Potter and Assistant Commissioner of Tourism Joyce Dore-Griffin highlighted the importance of the Central Florida market to the destination, both for traditional leisure tourism and VFR (Visiting Friends and Relatives) travelers. The Governor welcomed Spirit’s team and its passengers to St. Thomas and thanked the Department of Tourism for its continuing efforts to boost the economic development of the islands by attracting increased airlift to the Territory. 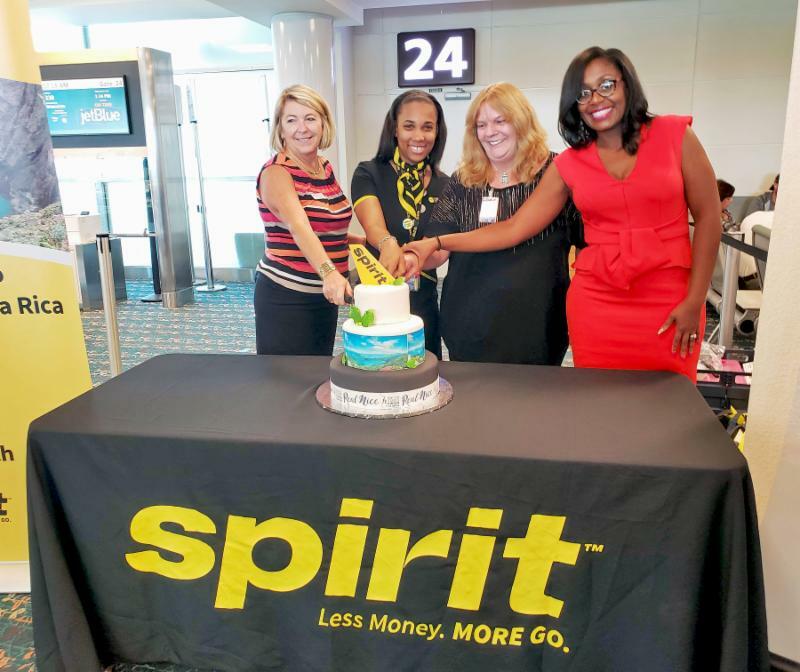 “Our partnership with Spirit Airlines continues to grow and expand for the benefit of the people of the Virgin Islands and the benefit of Spirit Airlines’ employees and shareholders, and we look forward to strengthening our relationship in the future,” he said. In turn, Stephen Schuler, Spirit’s Director of Communications, described the airline’s happiness at working with the Virgin Islands tourism team. “As an airline we love working with really good groups and this is the best in the industry, the best in the world,” said Schuler, adding that the airline is in the business of connecting family and friends and providing more low cost options for people to travel. Before take-off in Orlando, passengers were greeted by tourism representatives, steel pan music, carnival dancers and a celebratory cake to commemorate the opening of this important gateway to St. Thomas. Spirit also serves the island of St. Croix with three weekly flights from Fort Lauderdale-Hollywood International Airport to Henry E. Rohlsen Airport. Header: Governor Kenneth E. Mapp (center) and Lieutenant Governor Osbert E. Potter (left) welcome Spirit Airlines’ new flight from Orlando to St. Thomas. At right is Stephen Schuler, Spirit’s Director of Communications. Insert: Kay Milliner-Kitchens (right), USVI Department of Tourism’s Director of Sales, joined the celebration in Orlando this morning. For more information about the United States Virgin Islands, go to VisitUSVI.com, follow us on Instagram (@visitusvi) and become a fan on Facebook (www.facebook.com/VisitUSVI). When traveling to the U.S. Virgin Islands, U.S. citizens enjoy all the conveniences of domestic travel – including on-line check-in – making travel to the U.S. Virgin Islands easier than ever. 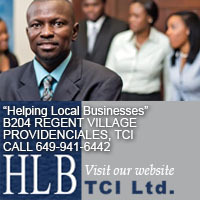 As a United States Territory, travel to the U.S. Virgin Islands does not require a passport from U.S. citizens arriving from Puerto Rico or the U.S. mainland. Entry requirements for non-U.S. citizens are the same as for entering the United States from any foreign destination. Upon departure, a passport is required for all but U.S. citizens.